That blaring indentation in your carpet or rug, just staring at you, taunting you. You moved the furniture, and now there are seemingly permanent valleys and sinkholes in the carpet where they once stood… a blemish on your otherwise clean, healthy carpets. You tried waiting, hoping it would come to it’s senses and rebound eventually. You tried teasing it out like a scared puppy, but it’s clear that it’s not going to come out on it’s own. The fibers can take only so much smashing down before they start to stay that way. Yet, carpets are generally resilient, and I have a few tricks up my sleeve to show you. First step is to do some light brushing to fluff up the fibers and give them space to breath. Followed by vacuuming to try and revive the natural pile of the carpet again. 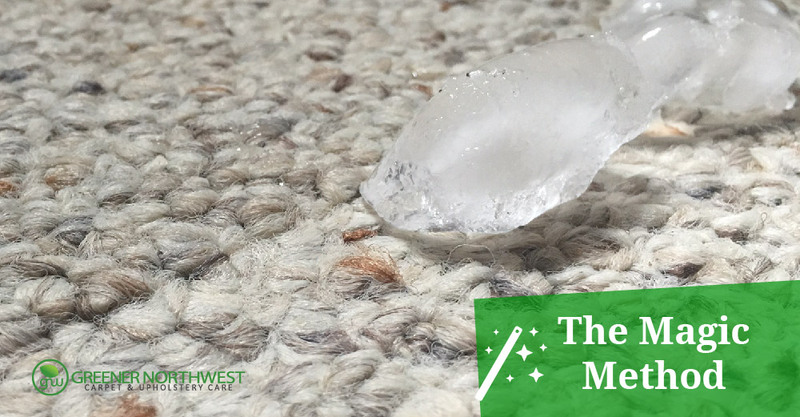 The IICRC recommends trying a damp towel, laid on the carpet indentations, then using an iron to essentially steam the carpet through the damp towel. Then while it is still warm, you do some brushing to further tease out the smashed fibers back to life. This one is fascinatingly simple. Lay small ice cubes in the indentations and let melt. Magically, it enlivens the flattened fibers back to life. Just be careful not to drench the carpet. Use just enough for the indentation. Okay, you got it bouncing back… now what? 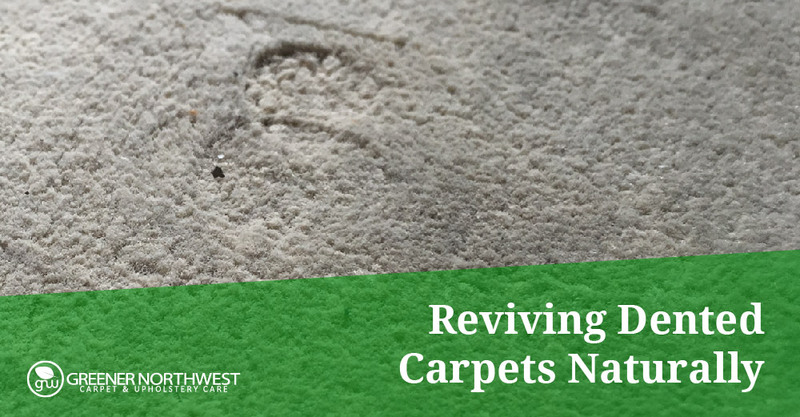 How do you avoid stamping a new canyon into your beautiful carpets in the future? Use larger pads beneath the feet to spread out the impact. One of the biggest reasons for the indents is all the weight of the furniture and everything the furniture carries is concentrated in one little spot, or one thin line. By spreading out the weight a little with a pad that is larger than the original feet means you are also spreading the impact. Use the extra-thick, extra-stiff pads cut into as large a shape as you can reasonably use and place them beneath the feet. It’s won’t 100% eliminate compaction, but it will help for the future of your carpet. We are passionate about keeping it green. We strive to find the most sustainable, natural methods, and promoting a healthy home naturally. Greener Southwest is proud to be a locally owned company in the Naples, FL area. We happily service customers in Estero, Bonita Springs, Naples & Marco Island.